Getable, the artist formerly known as Rentcycle, started out with a mission to bring the rental industry online, offering free, realtime reservations for consumers along with business management tools for local rental shops. It’s an ambitious goal, and one that found almost immediate support from investors. However, in tackling such a big obstacle, the startup quickly learned that it would need to go deeper, so in March, it re-branded as Getable, rebuilt its website, and took a page from OpenTable’s book, launching a more robust in-store rental management solution for local shops. 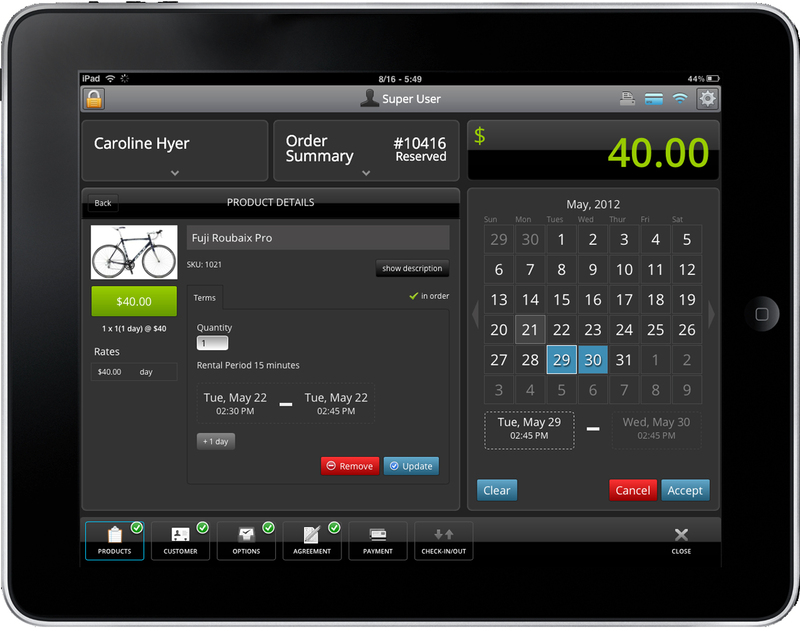 In so doing, Getable made its cloud-management tools available to businesses through both web and iPad apps, allowing businesses to organize inventory data, customer information, payments, view analytics, while managing in-store reservations through the same system they use for online reservations. Like Square meets OpenTable for the whole rental industry. The OpenTable influence in Getable’s solutions for the rental industry is no accident. As part of its seed funding back in August, OpenTable Founder Chuck Templeton joined the startup’s board of directors. In turn, Getable co-founder and CEO Tim Hyer also struck up a relationship with Jeff Jordan, the former chief exec at OpenTable and current partner at Andreessen Horowitz, and both Jordan and Templeton have since, to varying degrees, helped to shape the startup’s approach to the market. And, while it’s certainly a steep hill to climb, that market is a big one, as rentals collectively represent an $85 billion industry. Unsurprisingly, Templeton and Jordan are not alone in seeing both a huge market opportunity and big potential for Getable’s business model. If payment systems are played correctly and find the right fit for the type of business they serve, they can have the potential to completely alter the customer experience at that local store, including the entire flow of business on the floor. But it’s not easy introducing small merchants, who are used to their offline systems, to a new model. It requires them having to put their entire store, including the way it operates, and flows, in the hands of a new system and technology — in this case, Getable. It’s for this reason that the startup has cleverly decided to focus on a particular geography and a particular vertical. In conjunction with Randolph joining its board, Getable is announcing its first official vertical focus: Bike rental. Like so many others, the majority of bike shops still organize their rental reservations with pencil and paper. And considering Hyer estimates that 2,500 bikes are rented per day to tourists in San Francisco, Getable is focusing its efforts at home, forging partnerships with top bike rental chains like Blazing Saddles, Bay City Bike and Big Swingin’ Cycles, all of which will be using Getable’s tech to run their store operations. Since rolling out its in-store solution last month, Getable has already received commitments from businesses representing more than 50% of all bike rental volume in San Francisco. And with some veteran leadership experience on its board, Getable will be looking to accelerate expand its reach to an even greater extent in the coming weeks. OpenTable and Netflix have both followed extremely successful trajectories in their push to digitize rental services, so you can’t ask for much more than to have their founders in your corner. For more on Getable, check ’em out at home here.